Subject:Is this a modern stamp? 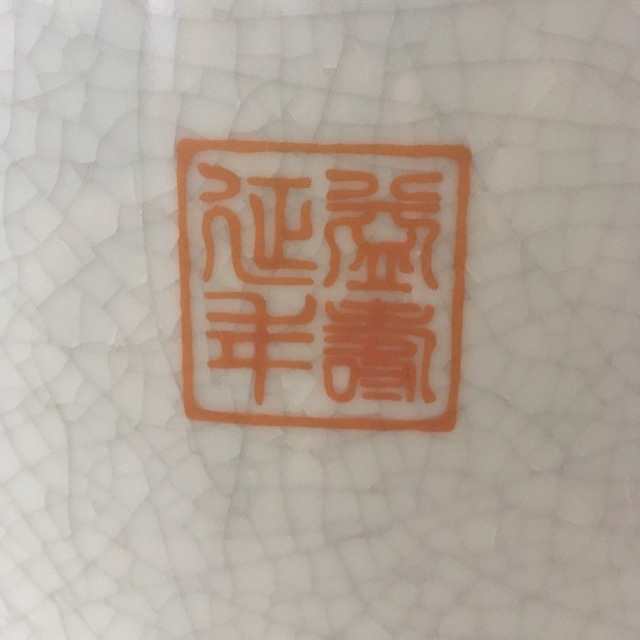 My grandfather has a blue-green oblong vase that has a mountain pattern on one side and characters on the other. I would like to know, is the stamp a modern one? Subject:Re: Is this a modern stamp? The vase appears to be quite modern. The seal has no information about time or authorship. 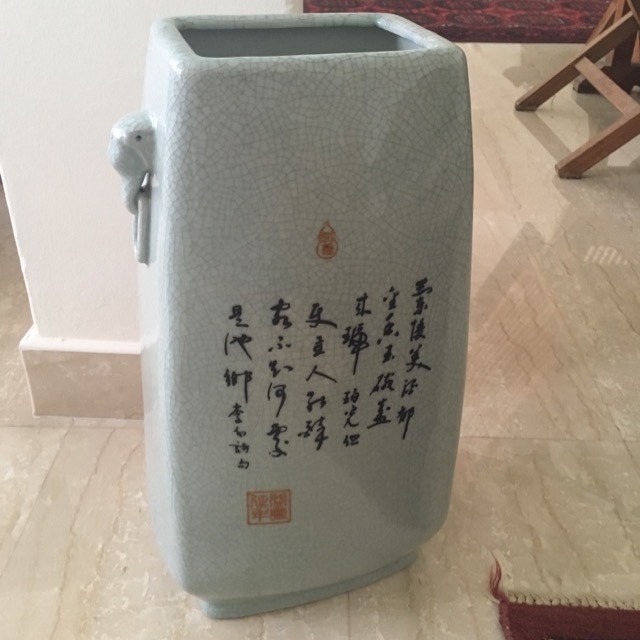 It is actually a good wish message - 益壽延年 - to lengthen one's life. The vase does look rather modern, from the end of the last century.